Sustainable lifestyle choices is everyone’s responsibility because after all you can’t complain about pollution and climate change without curbing your contribution to it. At UrbanMeisters we are always looking for ways to make green living easy, do-able and more accessible for you. Our green living series gave easy eco-friendly tips to cover different aspects of everyday life like how to reduce pollution caused by food, how to build an eco-friendly but stylish wardrobe, how to make an eco-friendly fitness routine, how to cut plastic at home, waste management, greening the neighbourhood, urban commuting and even green laundry goals! But we all need that extra push to take green initiatives. So what if you were rewarded for green living goals? Our green product hunt brought us in touch with My Open Road app- a fabulous concept app that rewards good green behaviour! The app incentivises green living by way of challenges that spark our competitive streak and actual reward points that you can redeem against set partners and advertisers. Sounds like the perfect way to promote sustainable lifestyle choices. Are you an outdoor junkie but sometimes ask yourself how much you’re helping the environment by running 6 blocks instead of driving? Or you love taking the bicycle to work but just sometimes wish there was an extra incentive to get on the bike in winters perhaps? Now imagine if your employer or company or your university or even municipality gave you rewards for commuting green either by taking active transportation or other alternative eco-friendly means of transportations? My Open Road (MOR), a startup from Southern California, based in the city of Irvine, developed the perfect tool that will keep you happily on the green track while taking your daily active/green transportation modes. How you ask? 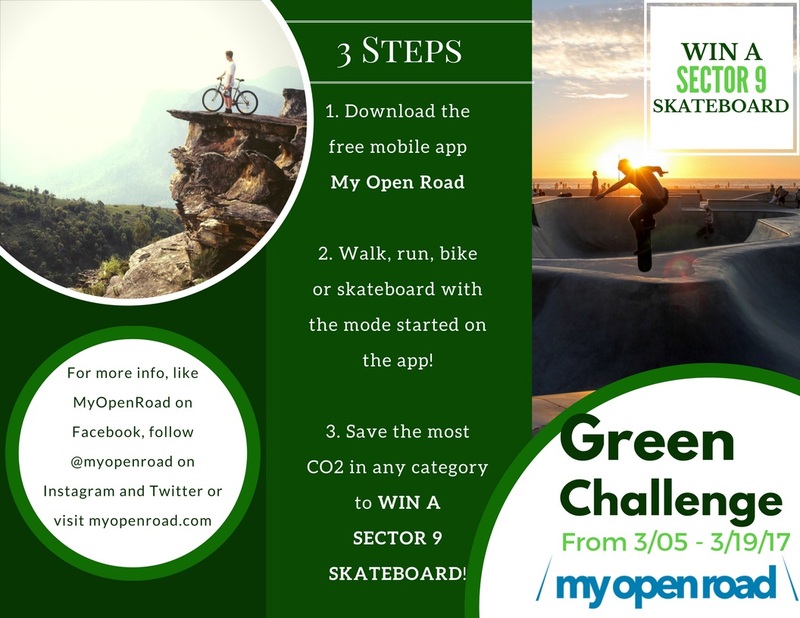 My Open Road (MOR) organizes “Green Challenges” at your company, city or university where you can compete with your colleagues in a fun and exciting way for the highest CO2 savings score, called “Social Responsibility Score” (SRS). 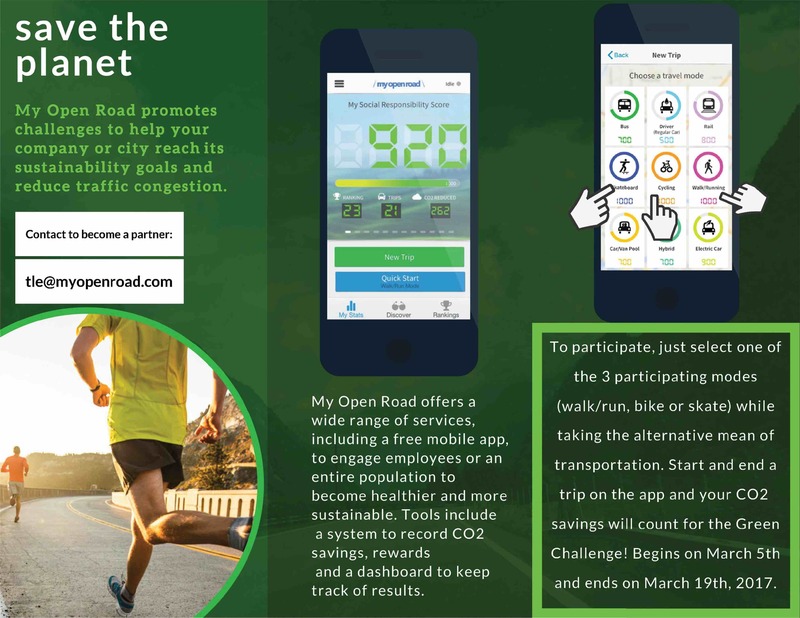 This will add that extra zeal to your green initiatives because based on your SRS you are then rewarded with exclusive prizes for the challenge you’re in, offered by the contest sponsor or discounts and special offers at local businesses that are partners of the My Open Road app. The app works on a credit score basis, so riding a regular car drops down your score. To join the challenges participants need only to download the free My Open Road app and log their trips. MOR charges organizations for the “Green Challenges”, offering all types of customized services to run professional and vibrant contests. 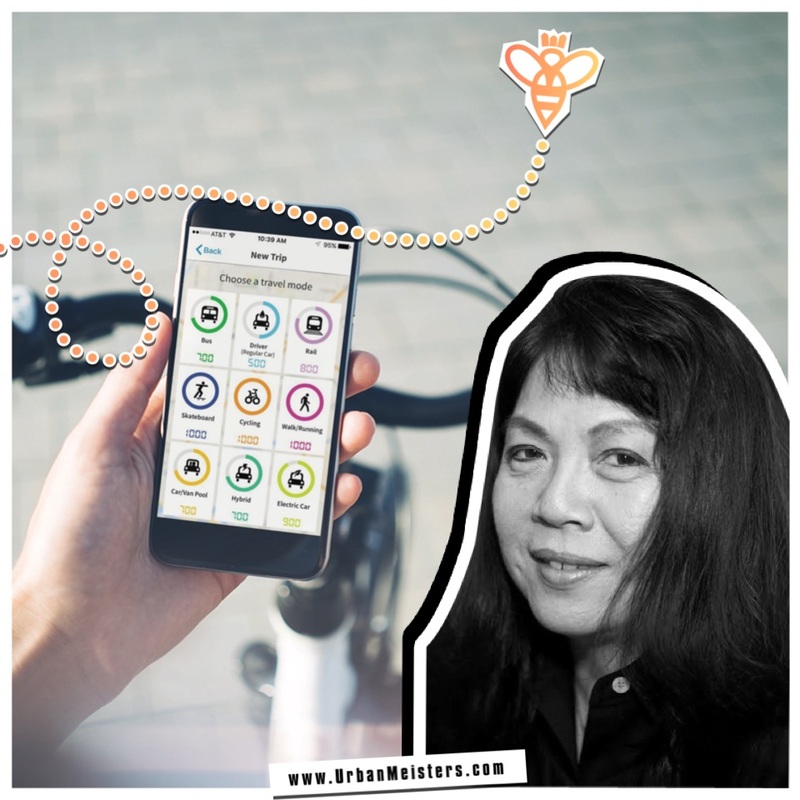 The app also offers a complete dashboard to keep track of the modes used and the carbon footprint; marketing material; internal presentations; etc. The challenge is perfect for any size of organization and all specific needs of each, such as reducing traffic congestion or parking constraints, raising climate change awareness, encouraging a healthy lifestyle, reaching internal sustainability goals or earning AQMD credits. 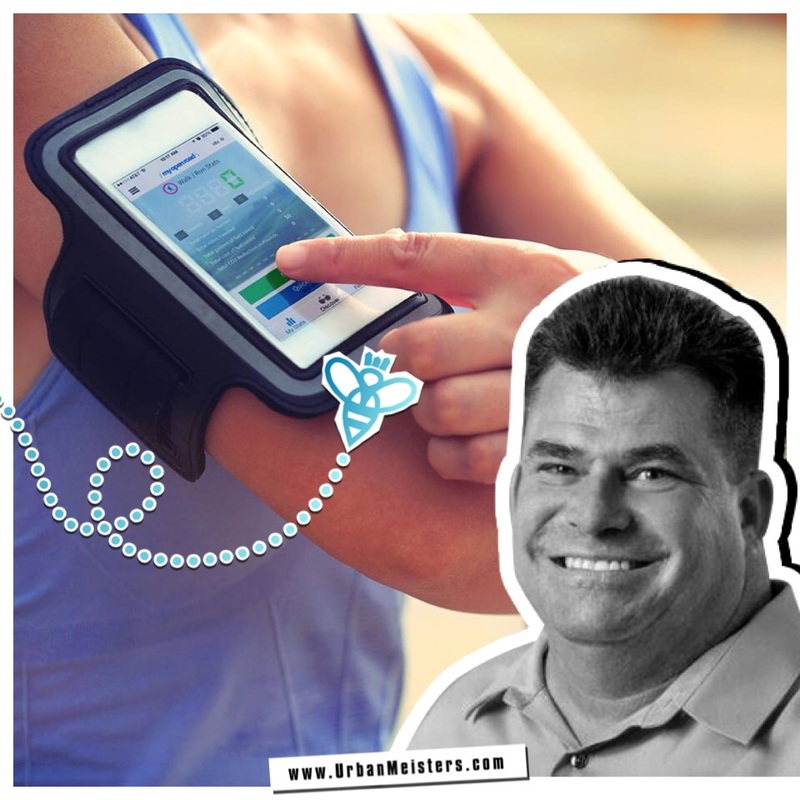 My Open Road’s initial concept was an app designed to be a hands-free system for drivers to reduce car accidents, founded by the former Disney Imagineering and current COO Jeff Weiss. 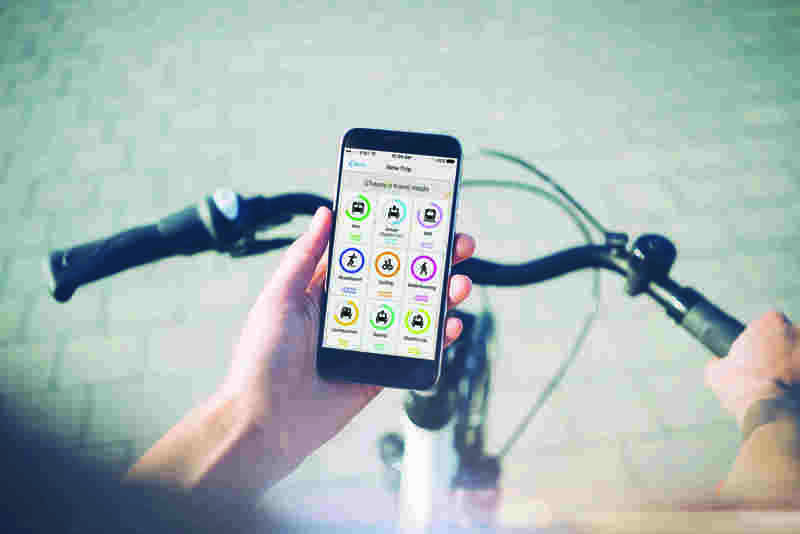 The app was further improved to record carbon emissions reduction whenever users rode alternative modes of transportation, along with a rewards system unlocked based on the SRS ranking and rules of occasional competitions. This new concept was introduced by Thuy Le, current CEO, with an extensive background in renewable energy and sustainability, as a Chemical Engineer and a previous managing director of large solar power projects. My Open Road’s app android beta version was tested at the Consumers Electronic Show (CES) in 2014 and officially launched with both android and iOS versions in 2015. Camosun College and universities in Canada reached out to My Open Road to use the app for their sustainability projects. Some months later, MOR was showcased at various events in universities and downloaded by students all over the United States, such as at the University of California, Irvine. Running challenges within students led MOR to expand to a broader number of organizations and instead of limiting itself to being a regular app, pivoted to become a challenge organizer. Recently MOR organized 2 green commute challenge pilots with Willmington Master Planning Organization (WMPO) and Intuit (Mountain View and San Francisco branches). The challenges were 2 weeks long each and both summed up had 213 participants that saved 19.959 pounds of CO2 from being emitted into the air by taking sustainable transportation for 36.468 miles. 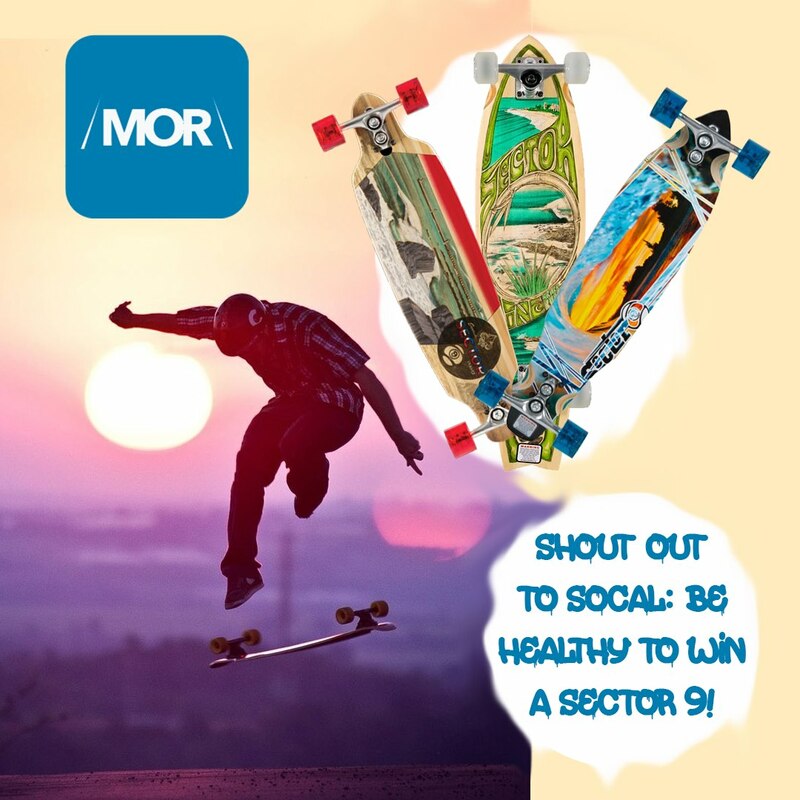 Thinking about the future, MOR plans on continuing to spread health and sustainability awareness through the United States by promoting at least 10 Green Challenges this year. Right now the green startup is looking for social responsible organisations willing to do Green Challenges, specially Bike to Work Green Challenges, but MOR is also looking forward to growing it’s rewards system with new restaurants, stores, etc. as partners. Partners advertise on the platform for free during the first year. Even though this green company wants to conquer the world, right now it focuses in the United States, but also operates in Canada. MOR fights for your health, health of the planet and of humanity. Therefore, the company believes that green entrepreneurs are change makers and no matter how hard it can be to have people change even a little bit their attitude to make a bigger change in the world, it’s worth every try. 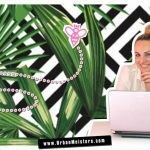 MOR suggests that green entrepreneurs study in depth their clients, to understand their lifestyle and on what it can be different, without the change being a pain for people. The fact is that together we can save the planet, one mile at a time. Contact Thuy Le for inquiries at tle@myopenroad.com or the team through MOR’s official Facebook page. Don’t forget to follow @myopenroad on Instagram and Twitter to get updates on the next Green Challenges so you can participate in!